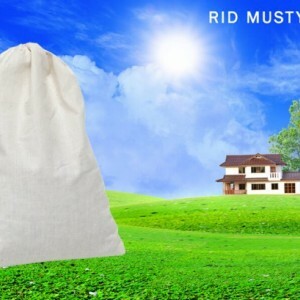 SMELLEZE Reusable Musty Smell Deodorizer Pouch: Eliminates & Prevents Mold or Mildew Odors Summary You house is your castle, your safe haven from the chaos of the outside world, but it shouldn’t smell like a medieval dungeon. 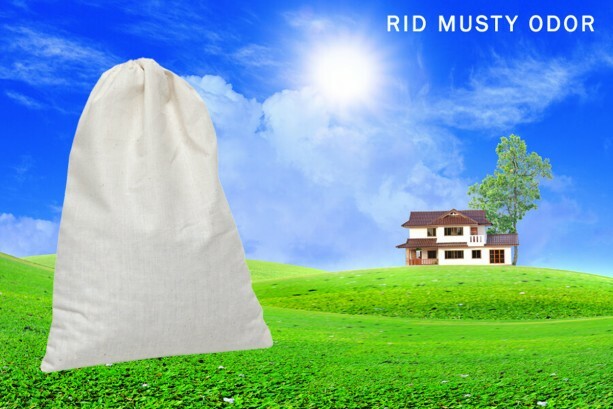 Musty damp odors are an age-old problem, but Smelleze® Reusable Musty Smell Deodorizer Pouches can keep your whole house smelling fresh with all-natural ingredients in a money saving reusable format. Features & Benefits • Smelleze® is the trusted non-toxic and all-natural way to eliminate lingering musty odor without using harsh chemicals or fragrance to improve indoor air quality • The portable products bonus dual action function also removes excessive moisture to prevent mold, mildew and corrosion without the need for electricity • To use, simply place in damp & poorly ventilated musty areas like basements, bathrooms, under sinks, hallways, closets, lockers, storage areas, ect. • Rejuvenate Smelleze® quickly by placing in a microwave for 2-3 minutes or by allowing it to sit in sunlight for a day and reuse over and over again to save • Each Smelleze® treats up to a 150 sq. 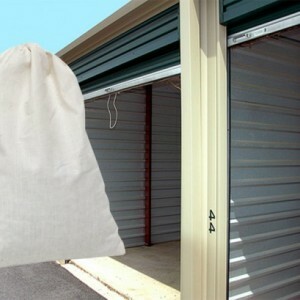 ft. area, is reusable for years, and can be recycled in your yard or compost. Completely safe for people, pets, plants & the planet. Money-back guarantee! 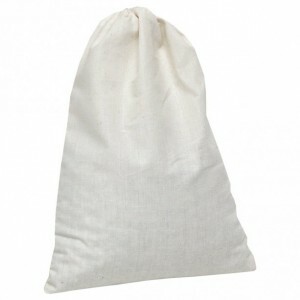 • Made in USA Don’t Let Musty Smell Cause Mayhem! 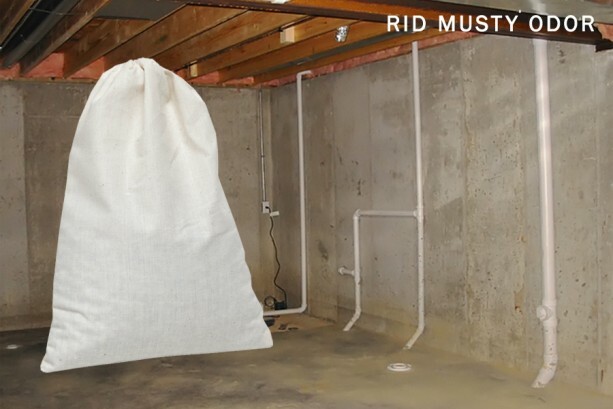 Musty smells are the worst because they permeate everything in your home with a rancid, stale odor and because they are so hard to eliminate, until now. 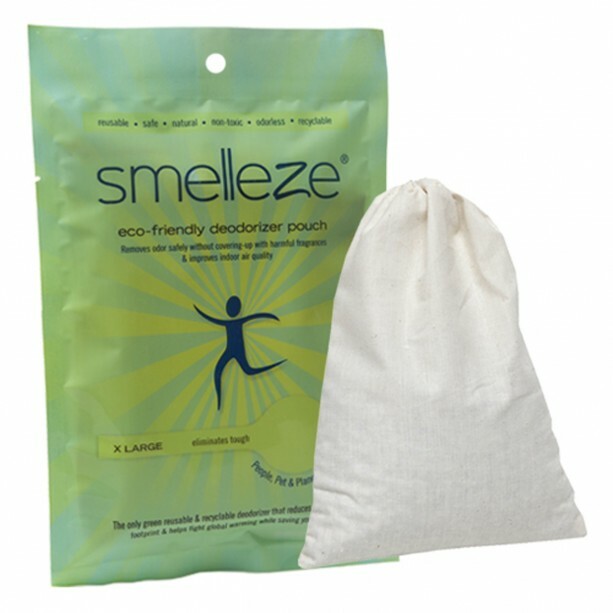 Smelleze® Reusable Musty Smell Deodorizer Pouches are the new all-natural way to eradicate musty and moldy smells plus moisture - without chemicals, without fragrances, without electricity, and without disposable filters. If you've ever tried to get rid of musty smells by simply airing out the room or by using a plug-in air freshener, you already know what happens next. After you air out the premises, the musty smells come back with a vengeance. If you try to cover-up the musty smells you'll end up with a worse ‘mildewy, perfumey’ putrid smell. Finally! A Safe Must Smell Eliminator That Works! 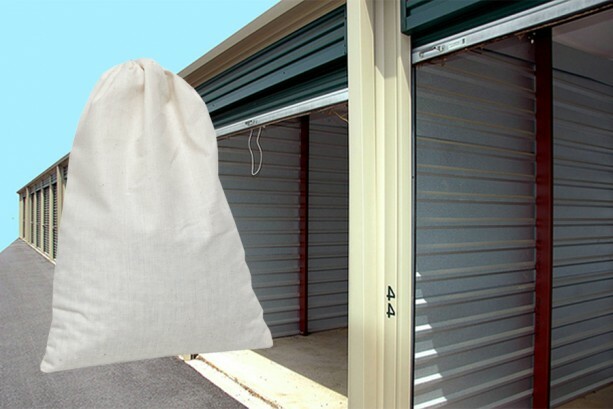 To really eliminate musty odors permanently at the source and keep your home, office, car and boat smelling clean and fresh, use Smelleze® Reusable Musty Smell Deodorizer Pouches. 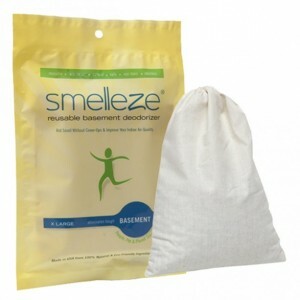 Simply place Smelleze® near the source of the musty smell in basements, bathrooms, under sinks, closets, lockers, storage areas, bags, and even in air ducts and on air vents. Each eco-friendly pouch can deodorize and purify the air continuously in a 150-square-foot area for just pennies per month. Rejuvenate & Reuse Over & Over Again! When your Smelleze® starts to lose its oomph, you can rejuvenate it by placing in direct sunlight for a day, or by heating it up in the microwave oven for a 2-3minutes and reusing over and over again. 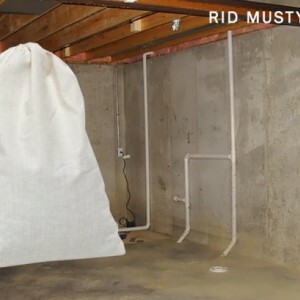 It lasts for years, it's 100% safe for people, pets and the planet, and it is the most economical way there is to keep musty smells out of your life. 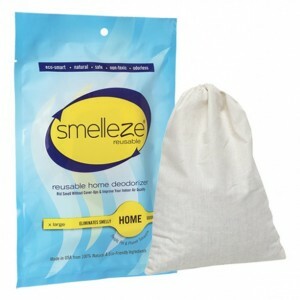 Smelleze® Pouches Pass the Musty Smell Test! Don’t let musty odors linger and cause mayhem. Our revolutionary Smelleze® Reusable Musty Smell Deodorizer Pouches® has you covered – but never covered-up! All-natural,non-toxic, fragrance-free, safe, reusable, recyclable, non-flammable, non-caustic and proudly made in the USA.